At Cascade Endodontics, first and foremost, we believe that people should have their own healthy teeth for an entire lifetime. To support that belief, Dr. Aaron Welk and staff subscribe to a program of preventive dental care. It is also our belief that the prevention of disease is far more enjoyable, less costly and more comfortable for all concerned. So our goal is to help you achieve and maintain a healthy mouth as quickly and as economically as possible. Dr. Welk prides himself on spending ample chairside time discussing your treatment needs. 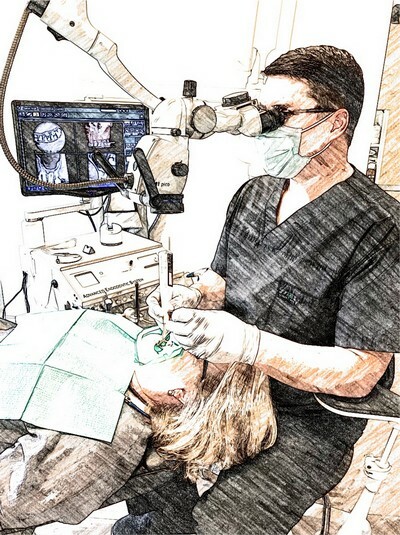 His goal is for you to not only have a comfortable and efficient treatment experience, but to leave his office with an understanding as to the importance of endodontic therapy in your overall dental health.